King Felipe and Queen Letizia attended the Annual Meeting of the Board of the Institutio Cervantes at Palacio de El Pardo in Madrid, today. The Institutio Cervantes is a Spanish governmental institution which promotes Spanish culture and language across the world. The organization was established in 1991 and is named after Miguel de Cervantes who the wrote the classic novel ‘Don Quixote'. For today's meeting at the Royal Palace, Her Majesty recycled an outfit she premiered a year ago at the National Day Military parade in Madrid. She repeated every detail except for the earrings. The ensemble consists of a Felipe Varela burgundy lace dress dress paired with a tweed jacket by the same designer. 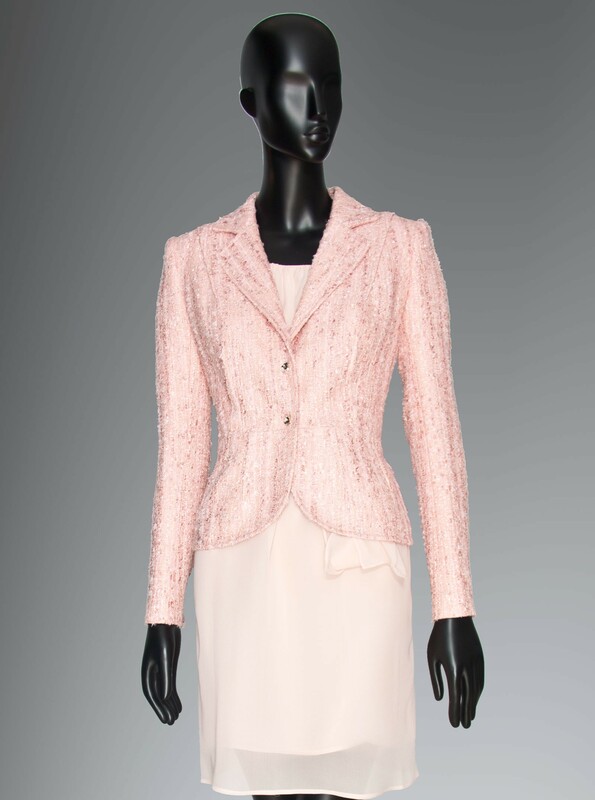 The 'Chaqueta Tweed Malhia' jacket originally retailed for € 875 but is currently on sale for €263. Queen Letizia accessorized with a Magrit combo consisting of her beloved Magrit 'Leonor' suede pumps, which she owns in many colours, and a matching envelope clutch, a style she also has in other colours. Letizia completed the outfit with her dainty flower earrings by Yanes.